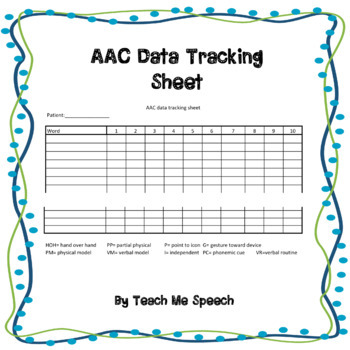 I've been using this tracking sheet for my kiddos beginning to learn single words on programs like LAMP, Proloquo2go, Unity, and even eyegaze devices. It helps me see what level of prompting they require and which words they've mastered. I've even used it with early intervention kiddos that are using single word approximations or signs. I hope it helps you as much as it's helped me in my practice!